← Guess who learnt how to add textures to the 3D game? We had a big institute wide talkfest and professional development day here last week and my colleague aAron and I ran a short session on games in learning. Overall people seemed interested but problems with Flash on the computers meant that they couldn’t participate in some of the activities we had lined up for them so it ended up a little more talk’n’chalk than I had hoped. You can check out the slideshow for the presentation over on Google Docs – or download the pdf version below. 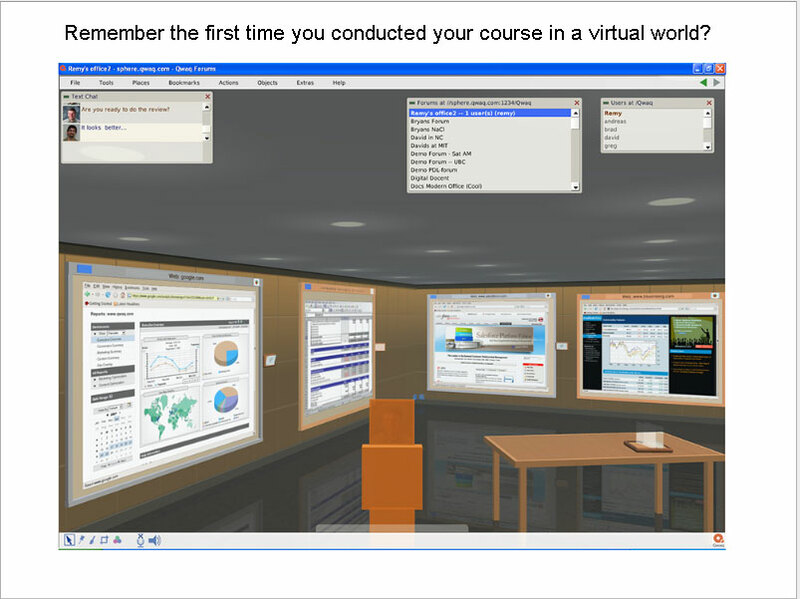 This entry was posted in education, elearning and tagged developing us, edugames, games, ideas, learning, presentation. Bookmark the permalink.